We all have that annoying friend who keeps posting stuff that makes you go crazy. But being a good friend you are, you can’t just unfriend them, can you? Well, good thing Facebook came up with the unfollow option. Now you can unfollow anyone without them knowing you are not interested in their posts. Yet, Many people don’t know how to unfollow on Facebook properly. That’s why we created this easy guide which you can follow to unfollow someone on Facebook. 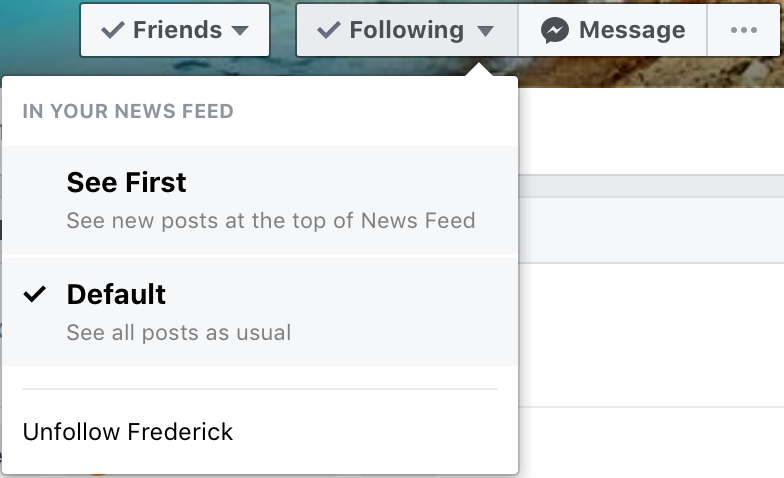 And if you don’t want to stop seeing all posts by a friend and just the annoying ones, there’s an option to do that as well. We’ll explain that method here as well. It’s very easy to unfollow a friend and doesn’t take much of your time. Click on the Unfollow “Friend name” and your friend will be instantly unfollowed from your account. Unfollowing a friend is a good option when you want to stay friends on Facebook but don’t want to see any of their posts. But what if you’d like to see certain posts from a friend but not all nonsense they post? For example, you don’t like him sharing memes, but you are interested in their life events, etc. Facebook has an option for that as well. As seen in the image, click on Hide post. 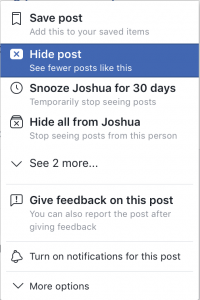 Doing that will tell Facebook that you want to keep seeing posts from your friend but block posts similar to the one you clicked Hide post on. 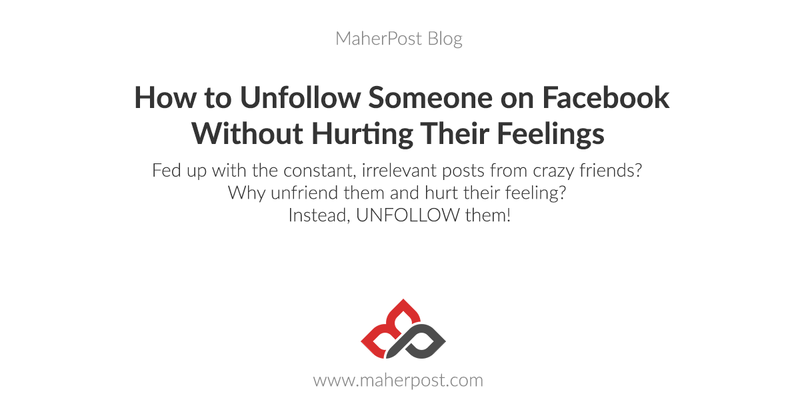 So by using these tactics, you can unfollow someone on Facebook, completely or partially. Your Facebook feed can be your hub to gather information about your surroundings and to know what’s going on with your friends’ lives. But due to poor optimization, most of what you see on your Facebook feed is junk. So clearing out your Facebook feed will ensure you get just the information you need and like. Unfollow the people you don’t want to see anything from and click hide posts on all the posts you don’t like, which includes your friends’ posts, groups posts, pages posts, etc. So Facebook will show your newsfeed accordingly. We hope you got the answer you were looking for to unfollow someone on Facebook without them knowing. Don’t just unfriend and break poor man’s/woman’s heart, Unfollow!